Cherry RED key provides superior key response and an optimized actuation force. Reduced key actuation distance of 2mm improves keyboard response time while remaining whisper silent during operation. It is easy to set any key to any macro or combination you want. And with on board memory, you can set almost unlimited profiles. 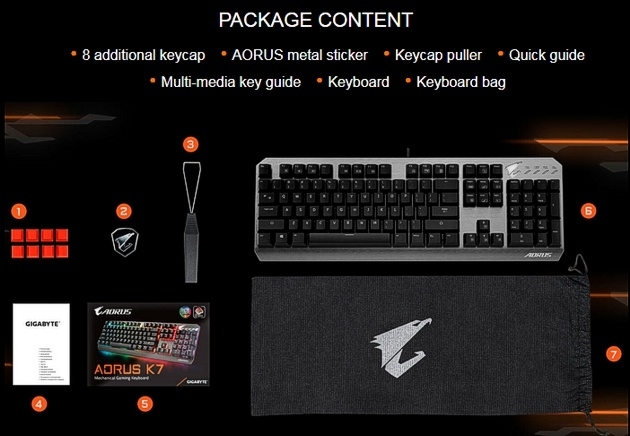 Utilizing the revolutionary Anti-Ghosting Matrix key-switch design, AORUS K7 provides Anti-Ghosting across all areas of the keyboard. 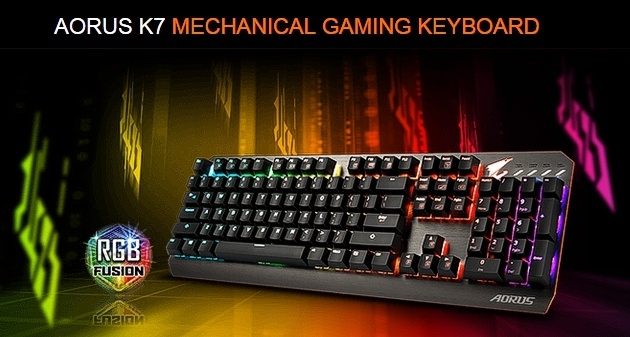 (N-Key Rollover) Dominate the competition with the advantage and versatility of being able to input multiple keystrokes at once. 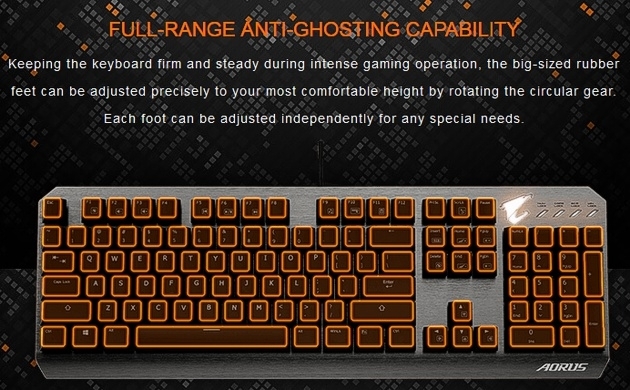 Keeping the keyboard firm and steady during intense gaming operation, the big-sized rubber feet can be adjusted precisely to your most comfortable height by rotating the circular gear. Each foot can be adjusted independently for any special needs. 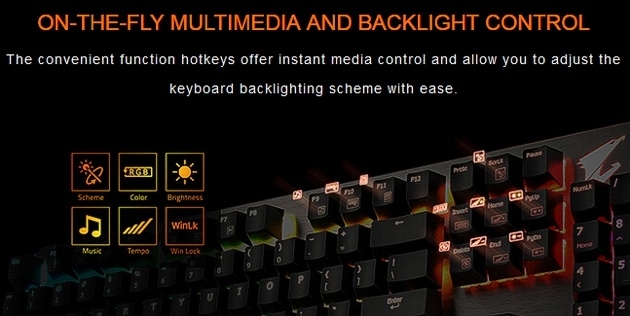 The convenient function hotkeys offer instant media control and allow you to adjust the keyboard backlighting scheme with ease. 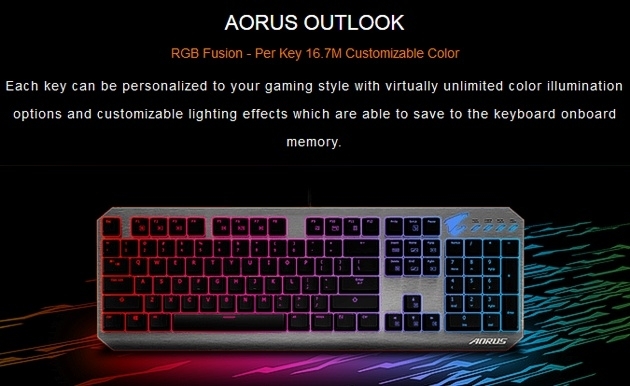 Each key can be personalized to your gaming style with virtually unlimited colour illumination options and customizable lighting effects which are able to save to the keyboard on-board memory.